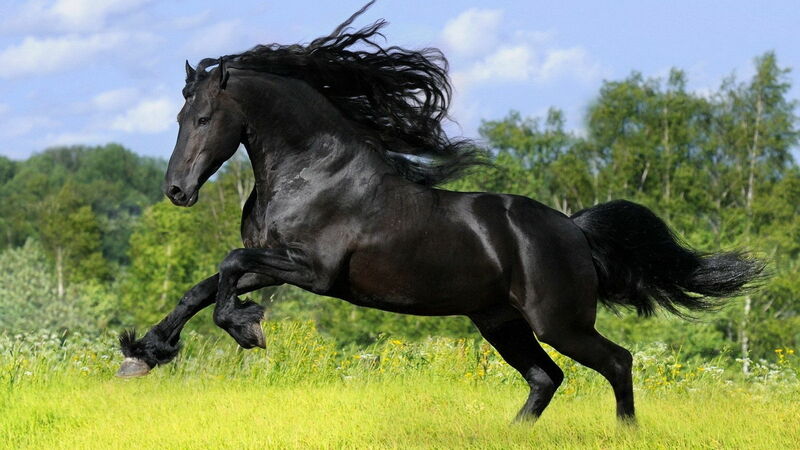 I saw this question on Facebook the other day with a photo of a powerful, majestic black horse. The point was one day we will no longer be on this plant and our fears will not have mattered….all that would have mattered was how we lived. As I thought about this, many things came to mind. In reality, yes I truly am fortunate to be living my dreams. Let’s think about it though. The romanticized version of this would be I spend my days rising at a time of my own choosing or rather when our basset hounds woke me up to be fed. I would love to take a walk every morning, weather permitting. Enjoy coffee and my breakfast. Quality time with my husband, Dan, and the dogs. Meditate. Enjoy a refreshing shower and then ready myself for a day of creativity in the studio. But, the reality of that romanticized version is I would still need to market my work because I need the income. Also, a careful eye would need to be kept on my inventories (both raw materials and finished works). Maintain those healthy relationships with the galleries that carry my work. Develop new relationships in new venues where my work could be made available. That’s not to say any of this true reality is bad. The point is any blissful notion I may have about ‘living my dreams‘ isn’t the actual reality of the situation. There’s still plenty of work do be done; the mundane tasks (yes, be honest, we each have our personal lists of what we consider mundane) to keep everything going as it should. I could not just sit at my bench for 8 or more likely 12 hours producing work. The work has to be marketed to be sold. Oh yes and let’s not forget the tasks to maintain our homes….groceries, cleaning, laundry, etc. So when I read or hear the phrase, “Are you living your dreams?” I think, yes I truly am. It’s not that fantasized notion of the dream, it is the reality of it. I have a full time job in the corporate world. That is a job I sought out by returning to school to earn a degree in Computer Science. I enjoy the security and benefits of being employed full time, doing what I love. You see, I do love doing many things. I am a software developer and I find writing code to be an art form in itself. I can be creative during the day and I am well compensated for what I do. I also love being an artist. Working with my hands, creating things of beauty that other people enjoy enough to purchase. That is truly awesome. Would I love to do that work on a full time basis? Absolutely! Yet as many artists know, living that dream is a bit of a slippery slope. How much discretionary income are people willing to part with in order to buy art? There’s no real answer. It can depend on the economy, their financial situation, the position of the sun, their mood on a given day….well, let’s face it, the response can be as arbitrary as the way the wind blows. I get that because there are times when I can purchase art from someone who’s work I have admired and other times I just cannot. Yes, I still believe I am living my dreams. Why? Because it is my choice to live my life as I do. I have a wonderful husband, who is my best friend. 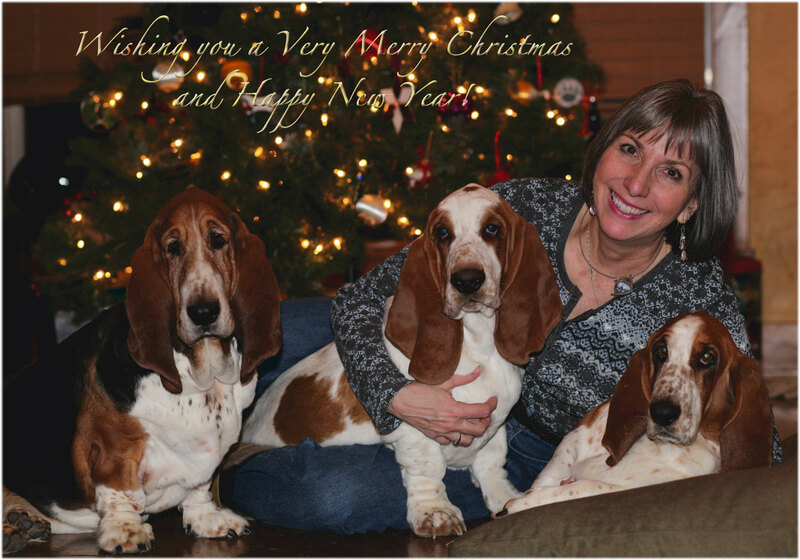 We share our lives with three adorable basset hounds. We live in a home that we designed and it fits who we are. We live in a beautiful state, Colorado, surrounded by mountains, lush trees and wildlife. My day job provides the financial benefits to allow me to create my artwork, on my terms and my time table, along with living a great life. Bonus! When it is time to retire from the corporate world, I will continue to work on my art and grow my business. That’s the reality. And that is my idea of living the dream. What I hope you can take away from this is to know that you too may and more than likely are living your dreams. You just may not realize it. Keep things in the proper perspective and have reasonable expectations. It’s easy to be drawn into that fantasy of “living the dream” and maybe feel bad because you don’t think you are. The reality is you may not be that far from living your personal dream life and you probably are. Be grateful for how things are now and work towards how you would like things to be. I want to express my appreciation to all of you who read this blog and enjoy my work. Christmas is just a few days away. 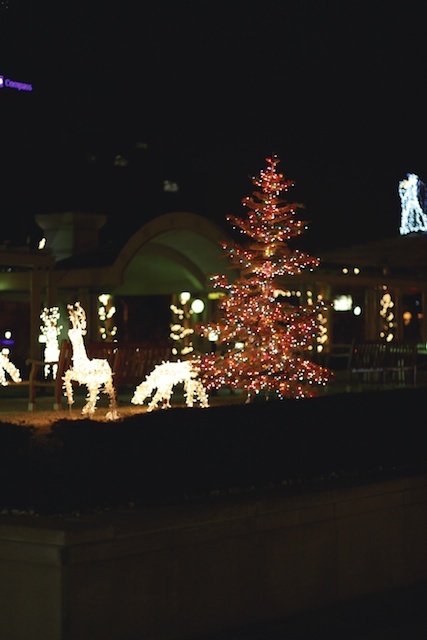 The new year, 2014, will soon be here. I am sure many of you, including me, have new dreams, hopes and aspirations as 2014 approaches. At the end of the current year, I find I tend to reflect on things that happened. I guess many of us do. I am filled with immense gratitude for the many blessings in my life. First and foremost, I am thankful for my husband Dan, who is my best friend. Not only is Dan my soul mate, he is the exclusive photographer of my work. He has a great eye as a photographer. His intelligence, patience and kindness are more than I could ever hope for as the love of my life. 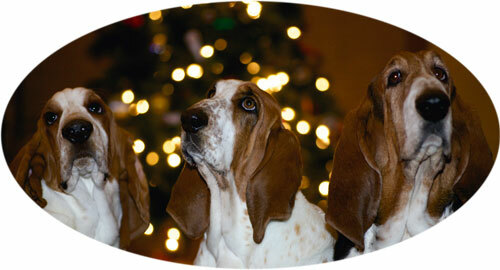 We share our home with three adorable basset hounds. They are perpetual canine clowns, giving us tons of love and companionship. This year we had to say good-bye to my beloved Little Miss Nocturne; they leave such big paw prints on our hearts. And we also welcomed a new puppy, Thorin, who has tons of personality and is a perfect addition to our family. As I write this, I look forward to the possibilities that 2014 holds for each of us. 2013 has been filled with ups and downs, just like any year, well, let’s face it, that’s life! 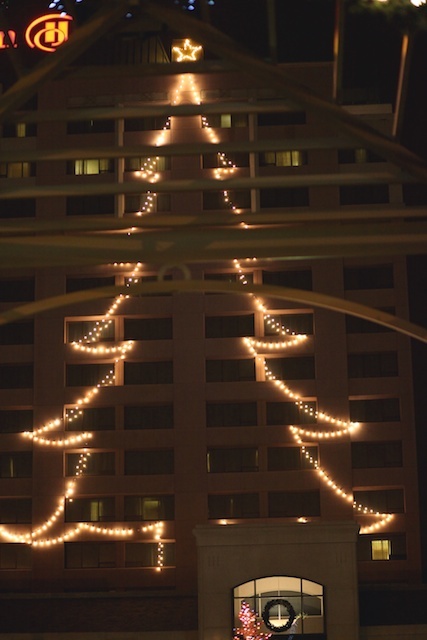 Last night, Dan and I decided to enjoy some of the beautiful decorations in downtown Colorado Springs. 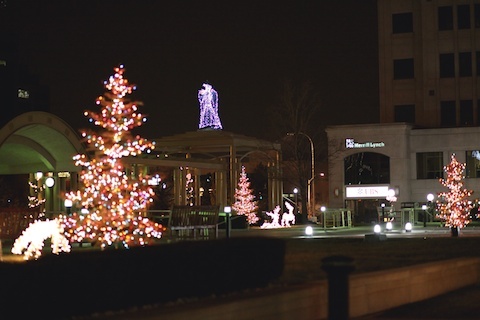 We went out for dinner and walked around afterward. We may have discovered a new holiday tradition for us as the evening was wonderful. 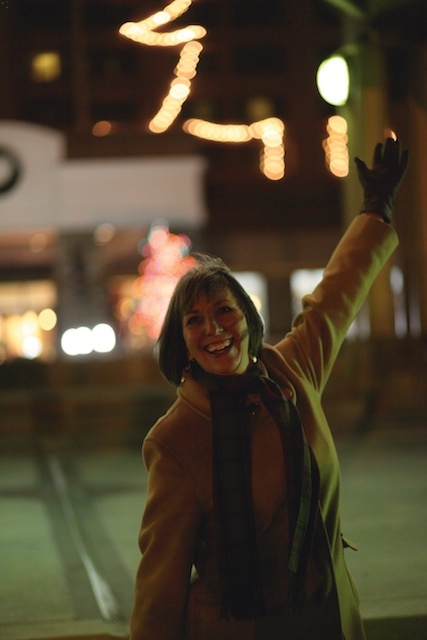 I thought it would be fun to share some of the photos Dan took during our night out on the town. It was VERY cold, but we had a great time. Starting to warm up inside The Antlers. I decided to ham it up a bit….trying to stay warm! One of the wonderful things about life is it is a constant learning experience for me. I am grateful to the many people who have helped me to grow this year, not only as an artist, but as a person. Those of you who read this blog, know that is my tag line. This year was filled with growth and I am grateful. My expectations for 2014 are high. I am looking forward to creating new works, growing as an artist, meeting more like-minded people and enjoying life. 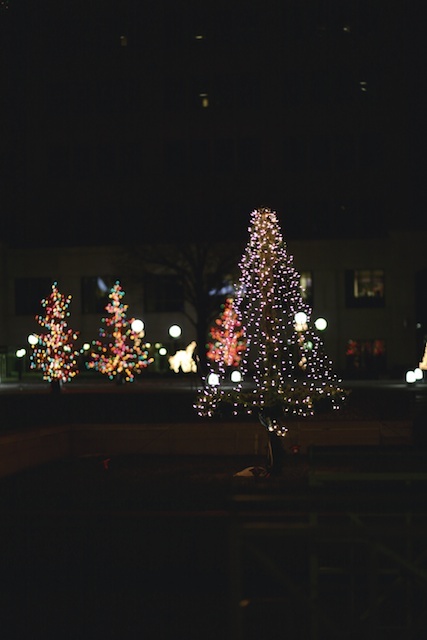 I would like to wish all of you a very Happy Holiday Season. I am happy to announce that you can now find my work at, Colorado Expressions, a new gallery in downtown Colorado Springs. Yes that’s me in front of the gallery. Dan took some great pictures yesterday and I’m happy to share them with you. He says he is my personal photographer now! How wonderful is that? This beautiful gallery is owned by Christine Pech and her daughter, Heather Dalbec. Check out their Facebook page for more details and photos from their opening reception. I met with Christine, who is such a sweet person and loves art of all forms. She gave Dan & me a tour of the gallery, discussing all the wonderful artists that have become a part of it. This is a dream come true for Christine and you can tell. Several of my friends, Mattie O and Margarete Seagraves, are displaying their works there as well. This baby grand piano is in the sitting area for anyone to play. During their opening reception, a very talent pianist from New York stopped and entertained the crowd for over an hour. Dan captured me looking at the sitting area just to the left of that gorgeous baby grand. As you can see, there are some beautiful pieces of stained glass, woodworks and oil paintings. The Christmas tree is decorated with blown glass ornaments that I love. Christine has an etched glass artists that has created some of the prettiest etched pieces I think I have ever seen. The wood table/fountain is breathtaking! I love this staircase. It really does invite one to come upstairs and explore all the works up there. I’m talking with Donna K, one of the other jewelry artists. We are discussing the possibility of a some collaborations, which I think could be great fun and result in some really nice works. Me again in front of that beautiful staircase. Thank you Dan for taking all these great photos! I’m enjoying Donna K’s works. There are several of these chandeliers in the space. Works of arts in themselves. Isn’t it spectacular? For those of you who live in the area, this is a must see! There are so many treasures in this great space. And for those of you who haven’t finished your holiday shopping yet, well, I’m certain you can find the perfect gift at Colorado Expressions. If you are visiting Colorado Springs, please make this a stop during your visit. I promise you won’t be disappointed. 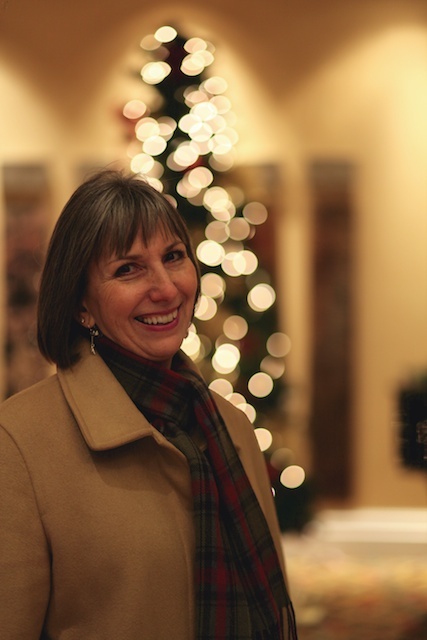 I am delighted to be a part of Colorado Expressions! It feels like so many doors are opening for me and my life is so blest. Until next time, aspire to be more as an artist and a person. Namaste. On May 26th, Dan & I will celebrate our 10th wedding anniversary. Time flies when you are having fun and we definitely are! He is my best friend and soul mate. It has been 10 of the happiest years of my life. In honor of this very special occasion, I created this ring for myself. It is My Perfect Ten. I spent yesterday working with Lexi in her studio. We had a great day; we always do. I have wanted to make a spinner ring for a few months now and had everything prepared, including my first piece of 18kt gold! Whew, I worked with gold for the first time yesterday…that’s a milestone for me in my metalwork. Over the weekend, I worked on the various components for this ring. I knew I wanted a thicker band and this one fits my index finger. I textured the band with my favorite hammer mark pattern…so simple….and for me that adds elegance. 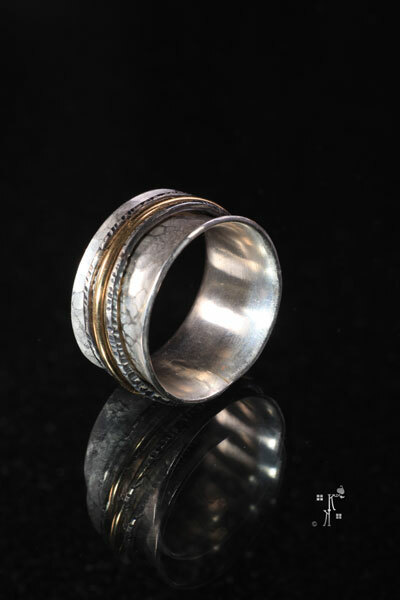 The darker rings around this band are sterling that I textured in a slightly different way. I oxidized those so they would showcase the center gold band. I wanted to keep the gold ring plain. It will get those little bumps and nicks with wear and I’m ok with that. The fun part of this ring is the three outer bands spin. Now I’m not one of those who likes to fidget with their jewelry, but this whole concept of spinning rings appealed to me. The hardest part was soldering gold for the first time. Pretty nervous about putting a flame to gold when it costs close to $1,500 an ounce and this little 3″ 15 gauge gold wire I had ran almost $90! Must be very careful and do not melt it! Lexi being the wonderful teacher that she is, told me what to do. I took a deep breath, attempted to light her torch which I had great difficulty doing all day (I guess I’m used to my striker) and whoosh, the torch was lit. At this point, I think Lexi may have lit it for me because I just for the life of me could not manage it. So here I go, applying the flame to the join, watching, watching (probably holding my breath) and whoop, there she goes! The solder melted, flowed and up that join it went, sealing the ring closed. I turned off the torch. I looked at it in marvel. Yes, I’ve soldered many things, but this time, I soldered GOLD and I did not melt it. I blinked a couple of times…as silly as it may seem, I felt tears and heard Lexi’s calming voice behind me, “It’s okay, you don’t have to cry, you did it”. I tear up just thinking about it now. Lots of emotions in this piece for many reasons. A symbol of the love Dan & I share. A symbol of my best friend, mentor and sister Lexi. Both reinforce my belief that all things are possible with commitment, dedication and hard work. Both believe in me. How blessed am I? 2010 was a very good year. I grew as an artist & a person. I discovered things about myself, my work, my life. So many blessings, so many wonderful friends, so much to be grateful for. As 2011 approaches, I know that I am being challenged. That’s a great thing. Lexi & I share a Quest; it’s a journey of self-discovery and personal growth. Together we are exploring Finding Water by Julia Cameron. Lexi has taught The Artist’s Way Course and she will be my guide in the process of Finding Water. We started this week and will continue through the chapters each week or so. This will be a great way to explore and find new pathways. 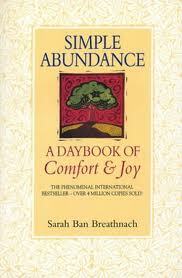 Another book that will be part of my artistic journey is Simple Abundance by Sarah Ban Breathnach. Lexi recommended this one and has told me it will be a great companion to the reading and morning pages I do in conjunction with Finding Water. This is very exciting for me. I haven’t started to read Simple Abundance yet, that will begin tomorrow, January 1, 2011. However, I think it will help me in the pursuit of my goals to create new work that causes me to stretch and grow as an artist, along with my own personal growth. In conjunction with these two books, I’ve started to read another one that was a Christmas gift. 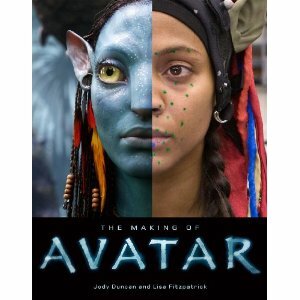 This is The Making of Avatar, which describes James Cameron’s artistic journey while waiting for the technology that would allow him to create the movie Avatar. For those of you who don’t know, James Cameron and Julia Cameron are brother and sister. 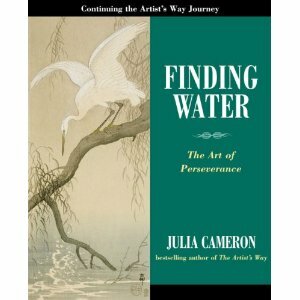 Reading these books, Finding Water and The Making of Avatar, made me realize that the works of these two Camerons, Julia and James, speak to me in different ways. The book I got for Christmas about the Making of Avatar, goes into his initial concept and how long he had to wait for the technology to make that movie. It discusses his artistic journey; James Cameron had so many ideas and was always being creative, whether it was in the days before making movies when he was an artist and then the subsequent creative paths he took with movies, from Alien to Titanic to documentaries to Avatar. Julia has her journey as a writer. Reading these two very different books has shown me that people who are creative, constantly strive to find ways to achieve their creative goals. You just keep working and producing work that gets you to that next step. I find a connection or maybe its an admiration for their determination to pursue their artistic goals. That leads me to my next point in this post, which is a concept I used last year thanks to Christine Kane who writes another blog I follow. Her recommendation is that we have our personal word of the year which inspires us in our endeavors. Last year, my word was Aspire. This year I had to use two words that help me connect….and those are Fully Engaged. In my heart, I know I must be Fully Engaged in everything I do. Yes, that may be exhausting and I may need to pull back a bit. However, the point of being Fully Engaged in anything I do is that will help me to be focused in the moment. Too many times I find myself working on something and thinking about something else. Loss of focus. Not being Fully Engaged. In order to channel creativity effectively, I need to be Fully Engaged. In the zone. Living in the present moment. Put all other thoughts and distractions aside, and just become immersed in what I am doing. This is why those two words resonate with me. So as 2011 approaches, my wish for all of you is that you are able to achieve your dreams and goals. May this coming year by joyous and prosperous for each of you. Until next time, aspire to be more as an artist and a person. Know that in 2011, I will be Fully Engaged in all of my pursuits. Those of you who follow my Reflections of a Glass Artist blog, may recall a recent post about Lexi’s Dream. To sum that up, after Lexi and I had our soul searching evening, she had a dream about a glass bowl. She encouraged me to make it and I did. You can read more about Lexi’s dream piece by following the link to Lexi’s Dream above. Now, my husband/best friend/soul mate, Dan, has had a dream. In it, I have made either a pair of earrings or a pendant that look like very detailed…almost realistic leaves. He thought they may have been Maple leaves. He said the details were almost exactly like a real leaf. The coincidence here is that I’ve been thinking about leaves. I love their beauty. I knew I needed to incorporate them in my work at some point. Clearly, it’s time to do that and see if I can capture the essence of Dan’s dream…….. I feel compelled to answer what I perceive are these calls to my creativity by the people I trust & love the most in my life. The outcome from Lexi’s Dream was even more ideas for glass work, as I feel is evidenced by my Fallen Leaves bowl. I came up for the idea of this new logo as I was working on the redesign of my website. It’s clear now that I need to begin working on leaf designs for a new series. Stay tuned for further developments. In the meantime, I have been working on more of my Soul Searching series and I look forward to publishing some of the latest works in this series. You can see a glimpse of a few of them on my website.